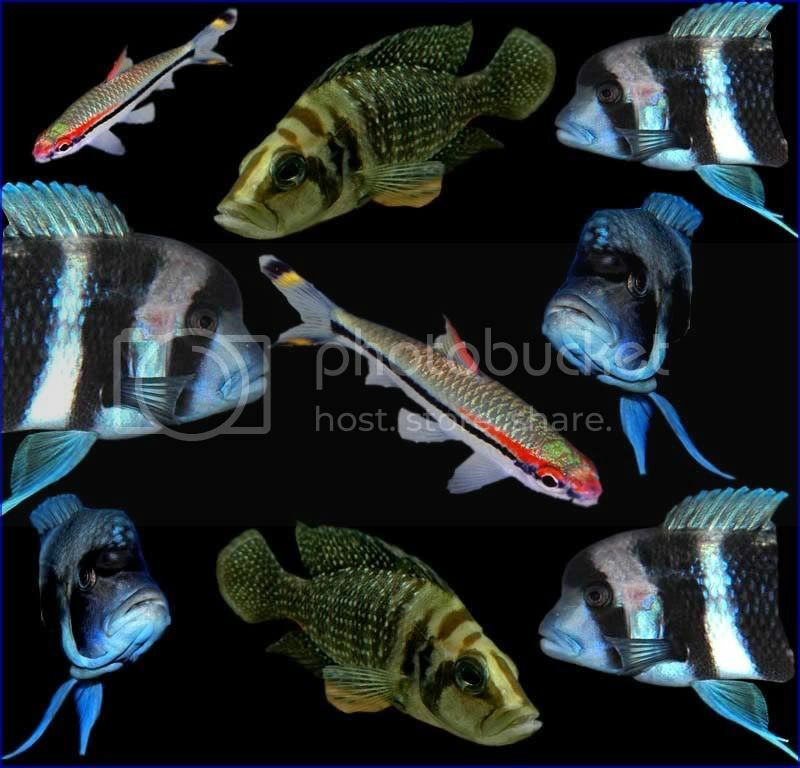 Here's a collage of some of my fav fish, what do you think? Please click on pic for full effect! As I get older I find myself thinking about the hereafter - I go into a room and then wonder what I'm here after. Kind words indeed bud thanks! How creative Must be very rewarding with your own fish and photography. them on and we'll sort something out for you. thanks for all the comments guys, they are much appreciated. That is a very good bit of editing Brookfish. it is deffinatly different.